The App Store has seen a lot of interesting updates over the years. We've been there since the beginning, and have watched it evolve into a busy hub that's now integrated into most people's daily lives. To consumers, more apps means more options and lower prices. For developers however, more apps really means less chances of being found. Apple took note, and in iOS 11 redesigned the entire store to focus on showcasing apps and not just listing them. A bold but important move that will help both consumers and developers in the long run. 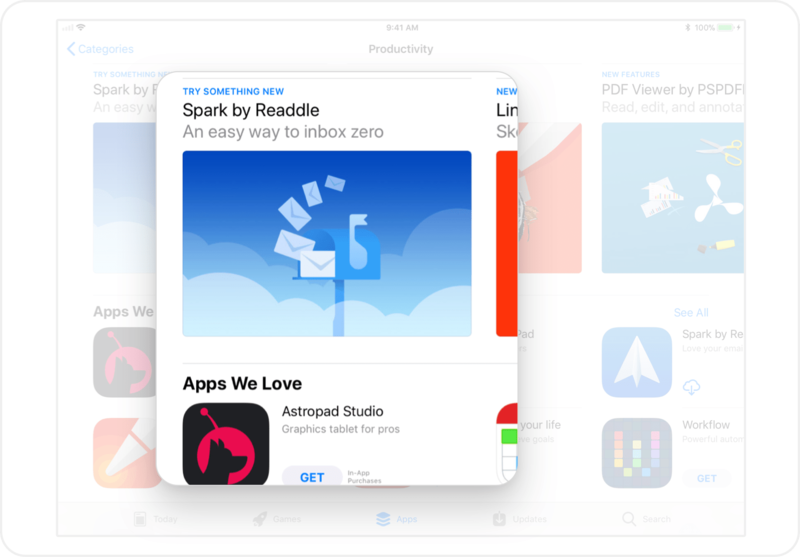 The new App Store offers new opportunities that developers can take advantage of to get more exposure and more downloads, and in this post we'll highlight those opportunities and give you actionable ways to benefit from them. The first thing you'll notice when you open the new App Store is that it no longer looks like a big list of unrelated apps. The store's new "homepage" -- the Today view -- is a page that looks and feels more like it belongs in a magazine. 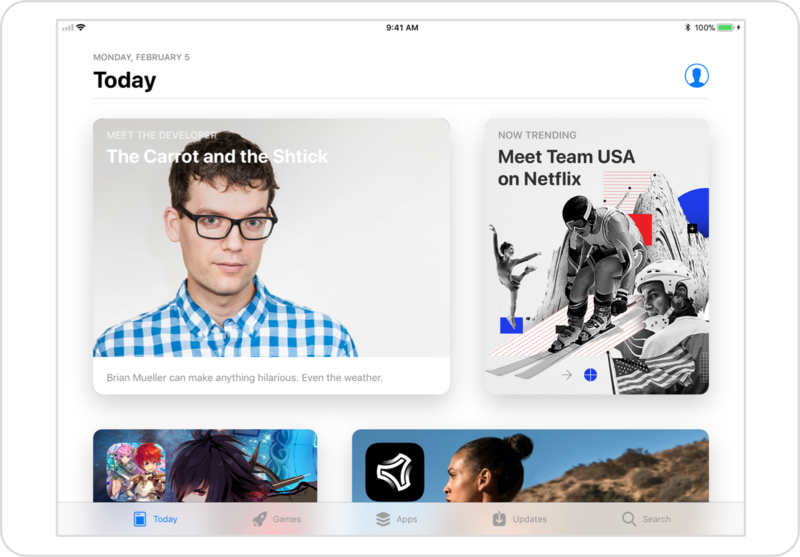 The page contains curated collections from Apple's editors, in-depth looks at featured apps, and interviews with developers. This new style really helps showcase more apps and get developers more exposure. It's a change that's taken place all across the entire store, even replacing the traditional category lists. More curation means more chances your app will get featured. The folks at Apple love to feature apps that pay attention to the little details, provide an amazing user experience, and utilize Apple's native features. Do that, then pitch it to Apple directly at https://appstore.com/promote. 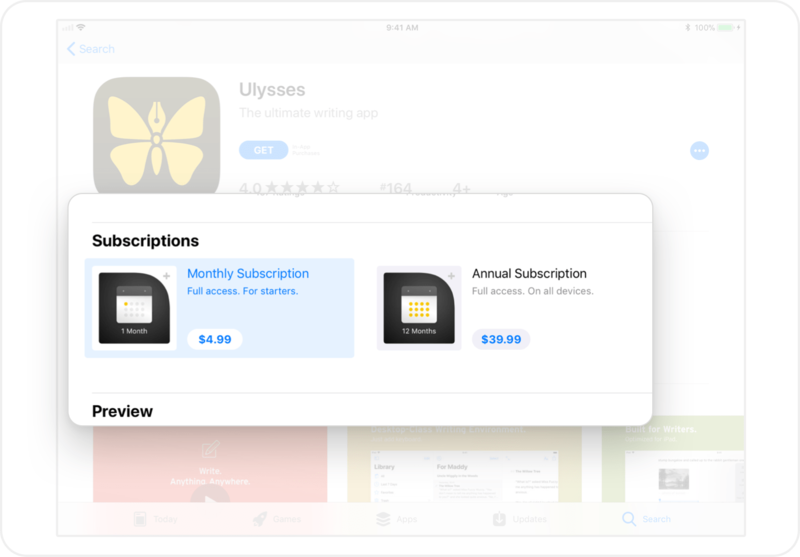 In addition to featuring apps more prominently, Apple has also started featuring subscriptions and in-app purchases. 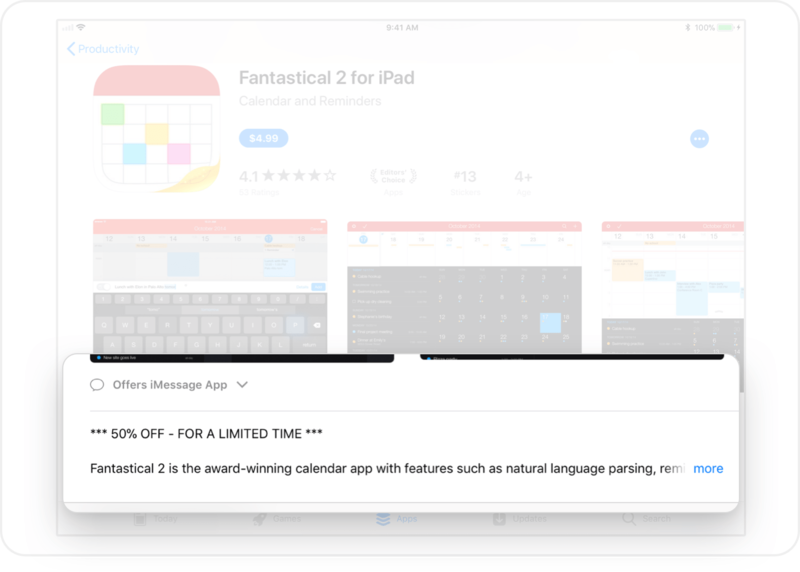 App Store visitors now see featured in-app purchases on category pages instead of just apps. This change gives a big boost for freemium and subscription apps, and is also a testament to Apple's push for the subscriptions revenue model. Subscriptions and in-app purchases can now have their own images and description text, too. Their listings looks a lot like individual apps in the new design. Give the graphics and text of your subscriptions and in-app purchases as much attention as you do for your app. Make sure they are eye-catching and convey their benefits. In previous versions of the App Store, games and apps were mingled together, making discovery more challenging. In the new App Store, games are available directly from the main menu, and have the same level of curation as apps. This is a fundamental change that helps developers of both apps and games with discovery. If you have an app, customers face less clutter from games and are more likely to come across it – same for games. And that's good for everyone! Make sure your app or game is listed in the most appropriate categories. Each app can have two categories, and qualified users are more likely to encounter your app if those categories are as accurate as possible. One peculiar change Apple made to the new store is removing the Top Grossing charts -- the lists of apps ranked by revenue. The Top Paid and Top Free lists are still available, but even those are a bit more difficult to get to, making the job of telling which apps are actually making more money much harder. Sign up for a free Appfigures account to see Top Grossing lists for every category in every country. Take a close look at those apps. Check out their app pages, how they present their in-app purchases, and how they get users to purchase. You'll learn a lot! Traditionally, an app's App Store page showed the name of the app and the name of its developer. Now, you can replace the developer name with a 30-character subtitle giving you another opportunity to showcase what your app has to offer and encourage potential users to get it. The new subtitle is valuable but hard to master, so it's worth taking some time to craft one that's just perfect. Thirty characters doesn’t seem like much, but it can make a big difference for conversion. Write a short, but descriptive, subtitle that emphasizes the top benefits of your app in three to five words. It sounds easy, but it can be quite a challenge, so take time to perfect it. Every app's App Store page now has room for promotional text that can be updated at any time, not just with a full version update. This means you can run promotions often, without having to submit a new version each time. Promotional text shows up at the beginning of the app description and looks like a part of the app's description. Always have a promotion going on. Extended trials, temporary price reductions, introductory pricing for new features, and seasonal sales are a great way to attract new customers. Videos are a great way to showcase what's unique about your app, and after the redesign you can include up to three of them. That's not it, the first one now starts playing automatically, giving you a chance to impress potential users of your app right away. For apps that serve multiple purposes or have widely varying functions, this is especially useful. 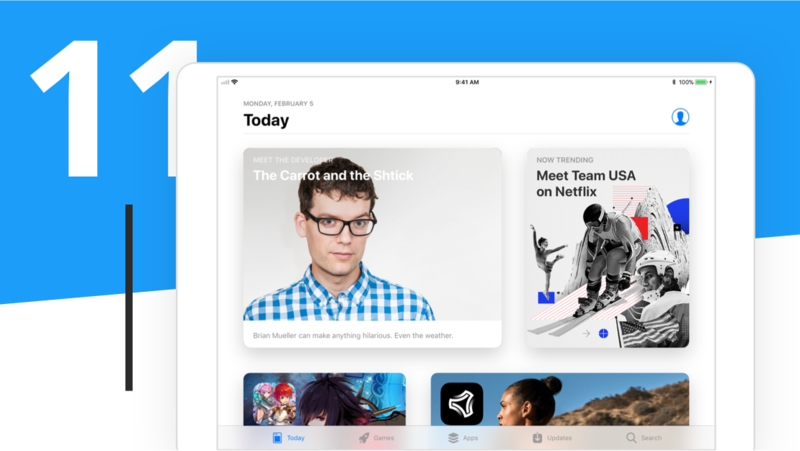 Now, instead of focusing on a single use-case or creating a very complicated App Preview video, you can now include videos that appeal to multiple types of users and showcase more of the app quickly. Create a short and focused video for each use-case of your app. Make sure to spend time showing the unique benefits and features of the app, instead of including marketing-speak or captions that describe the app so potential users see what they can have quickly. 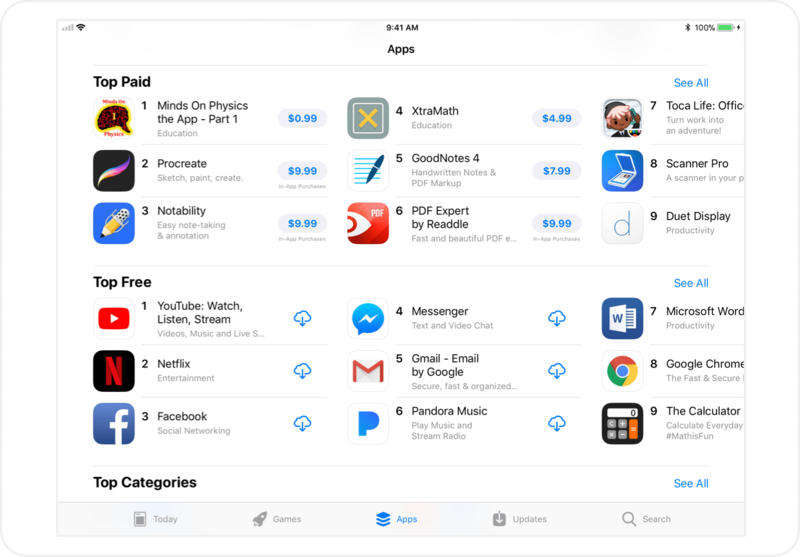 In addition to featuring subscriptions and in-app purchases directly on the home page, individual apps can now choose which in-app purchases to display on their app's App Store page as well as their order. This can help you advertise the most powerful parts of your app, promote a new in-app purchase, or highlight the most popular subscription level. 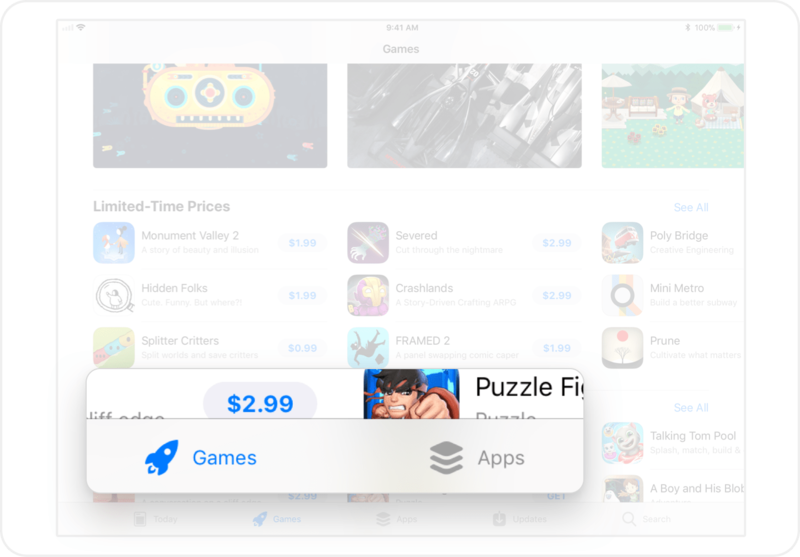 If you have many subscriptions or in-app purchases, you can now select which ones should be highlighted in your app's page on the App Store. Take the time to select the ones that are most popular, and make sure they have eye-catching graphics and text that emphasizes their benefits and not just features. One of the biggest changes Apple made is that ratings no longer reset every time an app updates. A long awaited change many (including us) have been patiently waiting for. Ratings now continue to aggregate throughout updates, and can be reset on demand by the developer. With this change, Apple put a lot more emphasis on ratings by showing them prominently at the top of the app's App Store page. Having a high star rating is more important than ever. 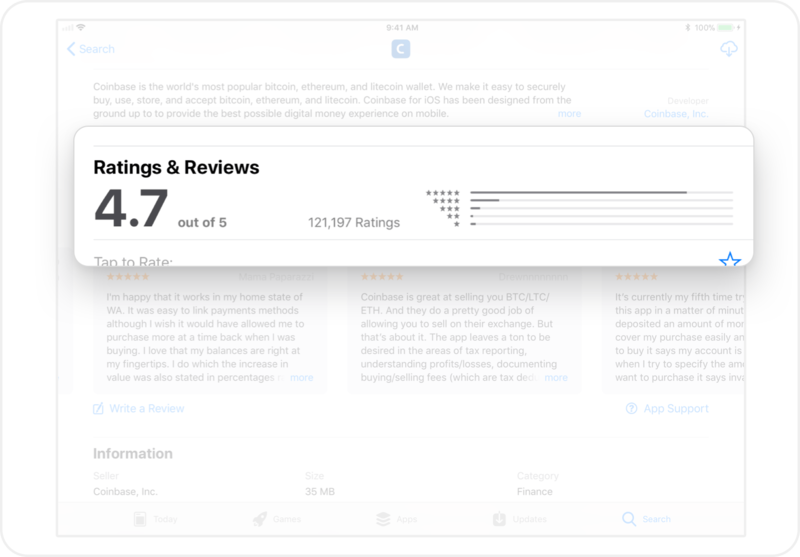 Encourage users to rate your app by using the new built-in SKStoreReviewController. 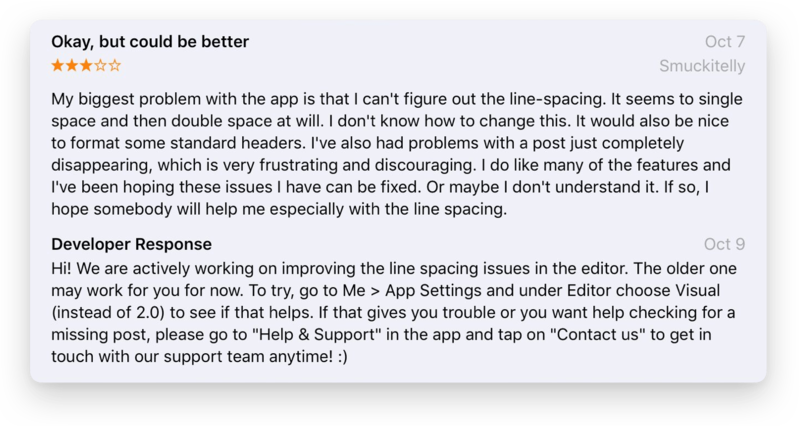 On the topic of reviews, Apple also made it possible for developers to respond directly to reviews. This means you can now communicate with your customers directly. Use this new channel to address criticisms, clear up misunderstandings, and let customers know that they're being heard. Keep a close watch on your reviews and respond to critical ones right away. Everyone can see what you write, so be understanding, objective and helpful. A good response can turn an angry customer into a loyal ambassador. Also, get new app reviews in Slack or by email. 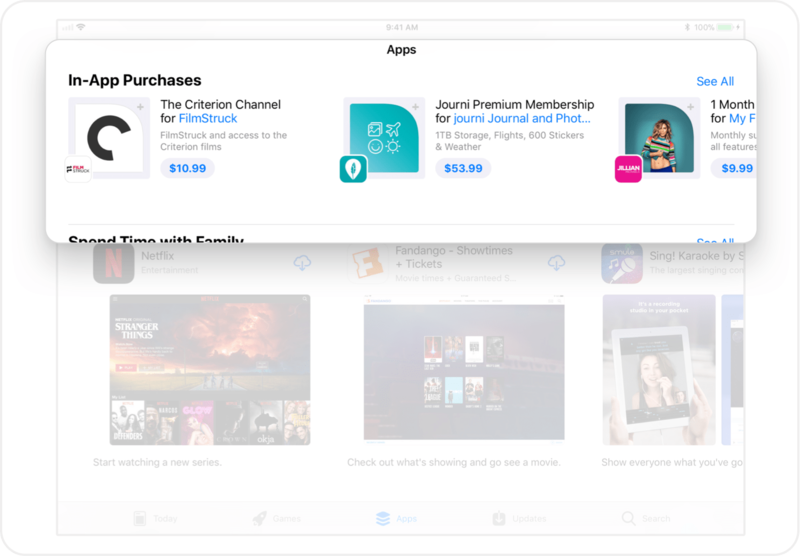 The changes to the new App Store signal a completely different approach by Apple. Curation, more opportunities to focus on money-making in-app purchases and subscriptions, and increased interaction with users make for a very different place to sell your app. Are you taking advantage of any of these new opportunities?